PhoneTrans is the # 1 FREE iPhone music transfer that helps you transfer music, photos, apps and more from iPhone to computer without hassles. OR, WANT AN ULTIMATE IPHONE MANAGER? Why PhoneTrans is Your Best iPhone Music Transfer? 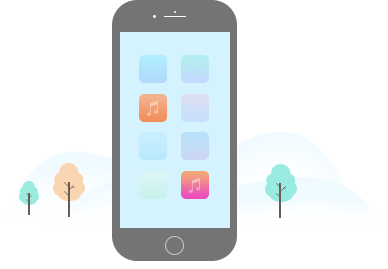 As a free & reliable iPhone music transfer, PhoneTrans focuses on transferring music from iPhone directly to PC/Mac seamlessly. No more iTunes, it also brings a trouble-free way to import movies, audiobooks, and more to your iPhone without erasing any data. 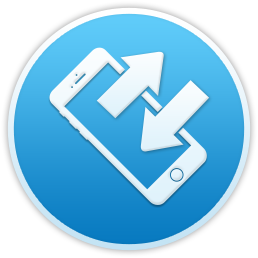 Two-way Transfer – A totally free way to transfer music and other content from iPhone directly to computer in seconds, and vice versa. iPhone Media Master – No more iTunes, adding all your music to your iPhone is just a matter of drag-n-drop. Free for Liftime – Master all types of media content, like music, videos, ringtones and more on your iPhone as you please, without paying a penny. PhoneTrans is a fast way to transfer music between your iPhone and computer. PhoneTrans has been stopped updating now, and here we’d love to recommend you a more advanced yet up-to-date alternative – AnyTrans, which specializes in helping you transfer, manage and back up literally everything on your iPhone, iPad and iPod. Need An Ultimate iPhone Manager? AnyTrans is HERE for You. Manage, transfer and back up your content on any iDevices, including iPhone, iPad and iPod, even the new iPhone 8 (Plus) and iPhone X just in one place. Full-way Transfer Transfer everything including music and other 30+ types whether from iPhone to computer/iTunes/iCloud, and vice versa, or even from Android to iOS seamlessly. Photos Organizer Categorize all your photo videos, bursts, panoramas, etc. in albums. Migrate your entire camera roll to computer — transfer 100 pictures in only 3.4 seconds. Personal Info Master All personal info, including messages, contacts, call history and more can be imported/exported, backed up or edited as you please. Backup Explorer No limitations, explore & extract any piece of data whether from iTunes backup or iCloud - in a quicker yet safer way than ever before. iCloud Content Manager No more full restore, all your wanted photos, calendars and more from iCloud or iCloud Drive will be exported to Mac/Windows - just simple drag-n-drop. Media Downloader With YouTube, Vimeo and other 900+ sites available for downloading, now enjoy your online videos on the go, with no more pre-roll ads.